I was planning on sharing these in a Letters to Lexi post, but just couldn’t resist, I love them so much! My baby girl is turning into a beautiful lady! OMG! Look at those big blue eyes!! I absolutely adore you blog. I love to read your post but never comment. I am a bit shy but i tell my husband all the times that i hope when/if we are able to conceive, i hope to be a great mother like you. You daughter is stunning and you are so attentive to her. I hope next year God blesses us with the joy of pregnancy, i would love to have a daughter, and i absolutely love the name Elena!!! So when i found your blog i new it was the right one for me!! We’ve been moving over the summer, but I have been checking in when I can. She has changed soooo much in just a few short months! My baby girl just turned 2, and my little guy is starting Kindergarten this week. It goes by in a flash! Alexis is absolutely beautiful! Oh my gosh can we just talk about how insanely beautiful she is!? She gets cuter every day I swear! 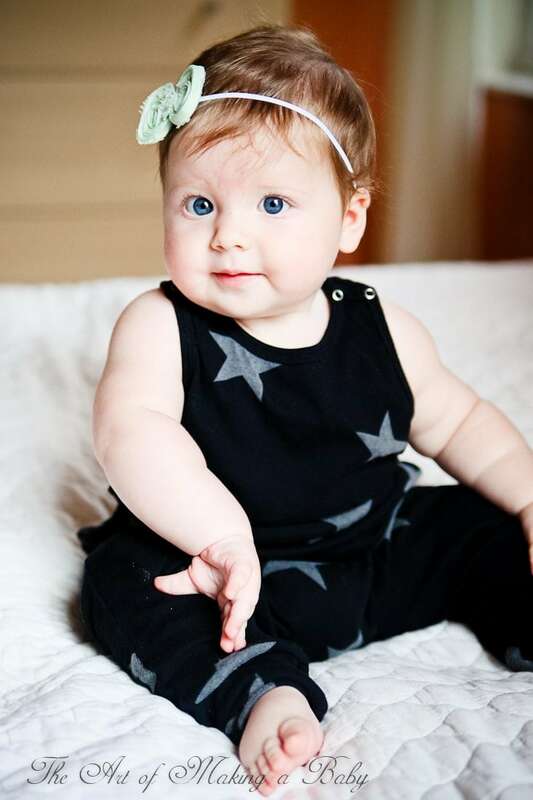 Those eyes and cheeks are so precious she’s just perfect mama. I miss my 3 year old when he was all chubby! Beautiful girl! In the bottom picture, she really looks like you. 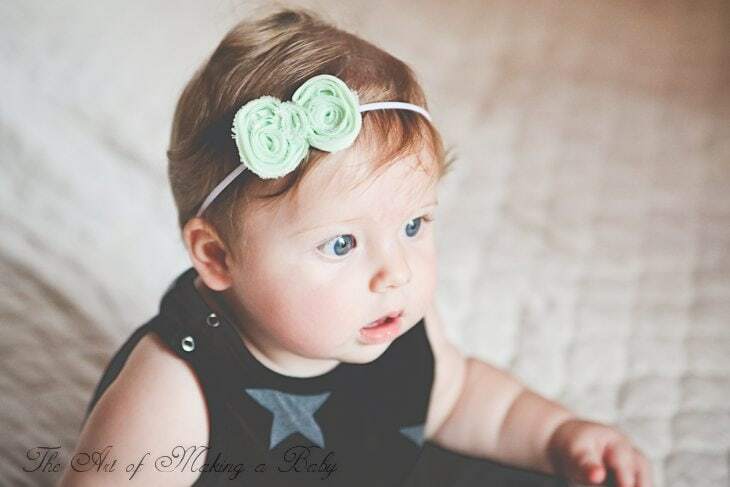 LOVE the headbands! 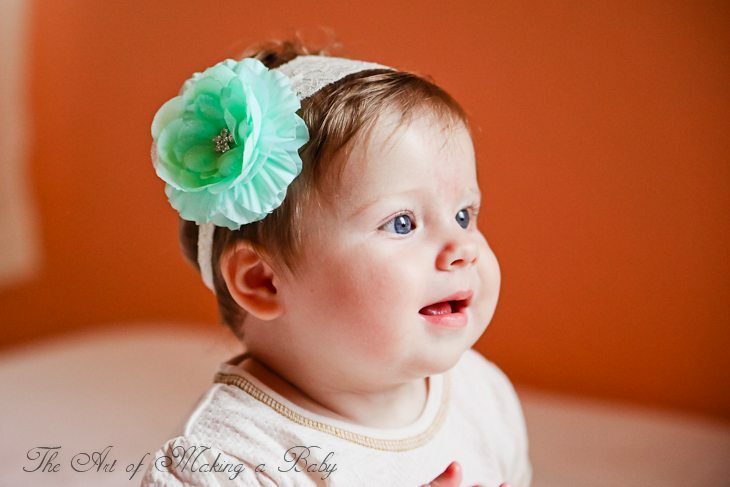 I make headbands, it’s pretty fun!,(I totally wanna make Lexi a “boating” themed headband! lol) but anyways, the picture of Lexi with the blue flower in her hair is amazing! the way it looks with her eyes…WOW! Beautiful baby! Those cheeks! And her hair! My little one has dandilion hair that stands straight up all over. Very cute, but no headbands for us. Enjoy your little lady. Those eyes! She is such a cutie! 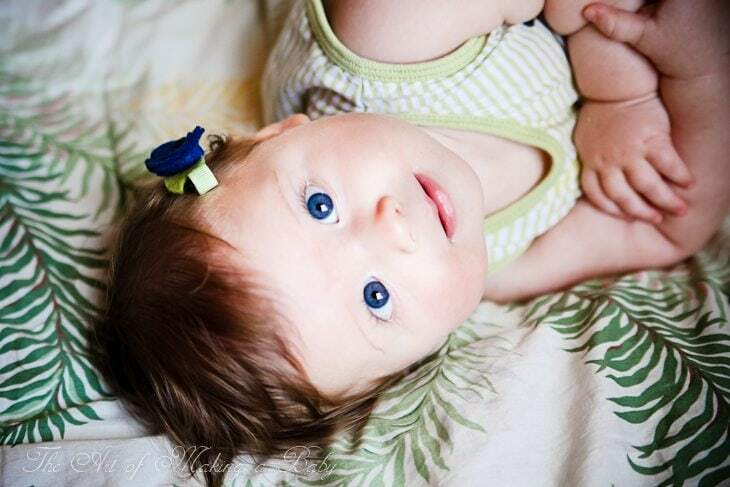 She is so so beautiful – loving those blue eyes. There have been times where my little girl has looked like she could be yours’ twin. So cute. She’s so gorgeous! And it cracks me up how she’s posing in that last one…someone got her mama’s model genes! What a beauty. I just love her eyes, too. You really need to stop photoshopping those, Elena…Kidding! It always makes me laugh how people harass you and accuse you of changing her eye color and editing out her little angel’s kiss!